In yet another brave example of Clash selflessly going to great lengths to champion and expose the best in new music, we’re overjoyed to announce our return to Austin, Texas, this month, where we will be presenting an incredible and unique live event. South By South West is an annual multimedia conference that takes over the entire city of Austin for nine days in March, and during its Music portion, attracts an international array of emerging bands to the live music capital of the world to be discovered by its attending tastemakers and industry bods. 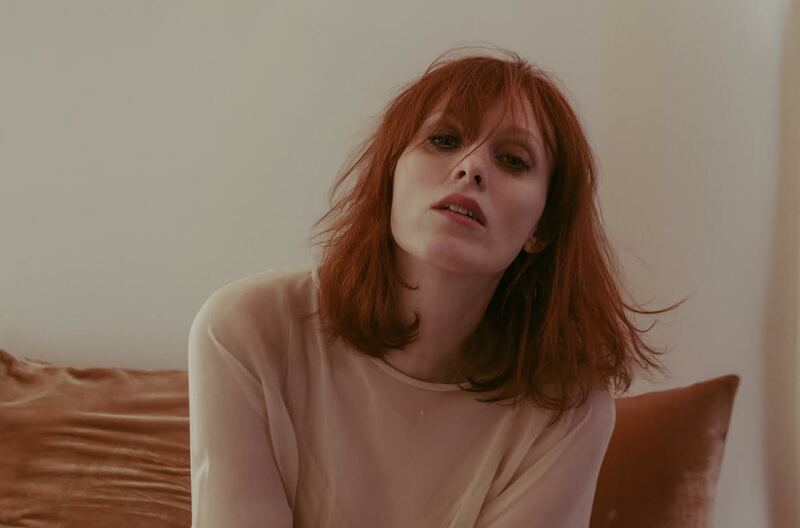 Having last year smashed it with sets from Honne, Haelos and Yak, among others, we’re hitting 2017 hard with another storming and suitably diverse line-up that represents Clash’s all-encompassing musical spectrum, and features headline sets from supermodel chanteuse Karen Elson and R&B progressives, THEY. The official Clash Magazine showcase takes place at Buffalo Billiards on Friday 17th March from 8pm. This event is open to general admission, but please note priority will be given to those with SXSW badges and wristbands. Miami-based Yung Gordon will open proceedings with an energetic performance honed from support slots for the likes of T.I., B.o.B and Trina. He’ll have the whole crowd moving to Crunk-influenced party hits like ‘Finna Hit My Walk’ and ‘Bobble Walk’. Ta’East already has the support of some of the coolest names in music; the San Diego rapper was the first artist to sign to Benji B’s Deviation imprint, and Virgil Abloh handles his creative direction. Ta’East delivers a fine balance of lyricism that’s thought provoking but accessible, over beats that are experimental but still knock. After rocking iconic sets for Boiler Room and ComplexCon, his performance at Clash’s SXSW showcase is not one to miss. Birmingham, UK, singer-songwriter Jacob Banks delivers timeless soul vocals that are far beyond his years, applying a contemporary twist on a classic sound. Following two acclaimed independent EPs, Banks recently inked a major label deal with Interscope Records and has since been on the road in the US, as well as putting in studio time with the likes of Avelino, Emeli Sande and Alicia Keys. With his ‘The Boy Who Cried Freedom’ EP, due out this spring, he’s definitely going to be on a lot of radars at this year’s SXSW. Firm friends of Clash - and anyone else who likes their indie effervescent and infused with spiritual wonderings - Sundara Karma are set to soar at SXSW with a thunderous and thoughtful set at our showcase. Fresh from their own UK tour - and support slots for Two Door Cinema Club at London’s Alexandra Palace - the Reading quartet are primed to unleash debut ‘Youth Is Only Ever Fun In Retrospect’ in all its cosmic glory. Chicago’s Alex Wiley came up in the same scene as Chance The Rapper, Mick Jenkins and Vic Mensa, establishing his name with his trademark ‘Village Party’ mixtape series. The high school dropout has transitioned from making joke songs on Facebook to making rich rap tapestries of introspective melodies and heady stoner rap, drawing elements from classic rock, soul, gospel and everything in between. His previous shows at SXSW are already stuff of legend. Outliers from opposite sides of the US, THEY. united when their respective careers as pop songwriters were no longer providing them creative fulfilment. Now their brand of grungy, guitar-laced R&B music has won them co-signs from Timbaland and support slots for the likes of Bryson Tiller, Jeremih and PARTTNEXTDOOR. THEY. will be closing our SXSW showcase with tracks from their newly released debut album ‘Nü Religion: HYENA’. Don’t worry if you can’t make the transatlantic trip - Clash will be reporting live from the event with a full review and gallery to follow. Just don’t expect us to bring back any BBQ. General admission. SXSW Music badges and wristbands welcome.